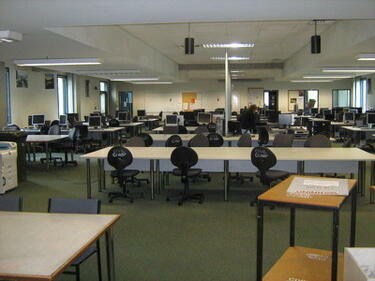 Showing 1 - 20 of 822 results. 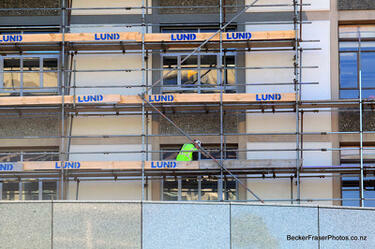 A worker in a high visibility vest and a hard hat repairing and strengthening the outside of a building at the University of Canterbury. 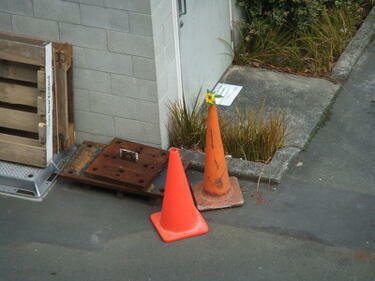 The photograph has been captioned by BeckerFraserPhotos, "The repair work on the buildings at the University of Canterbury looks similar to the scenes in the CBD". 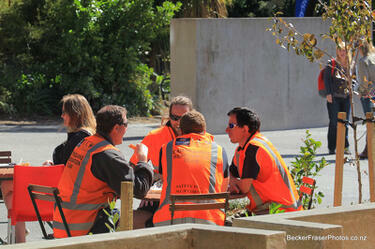 Photograph captioned by BeckerFraserPhotos, "Members of the University of Canterbury's Earthquake Remediation Team eating lunch outside the James Hight Library". 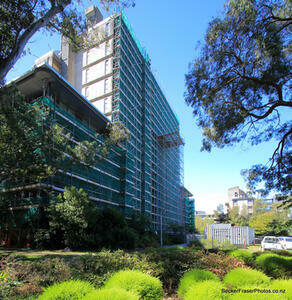 Scaffolding covering the outer walls of the James Hight Building at the University of Canterbury. 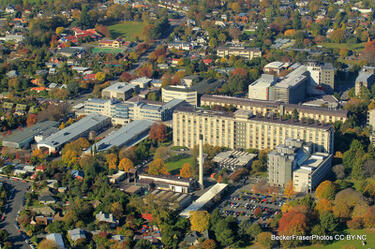 The photograph has been captioned by BeckerFraserPhotos, "The repair work on the buildings at the University of Canterbury looks similar to the scenes in the CBD". 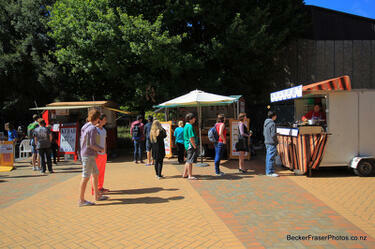 Photograph captioned by BeckerFraserPhotos, "The food caravans that used to operate in the Arts Centre, now travel to several places in the city. 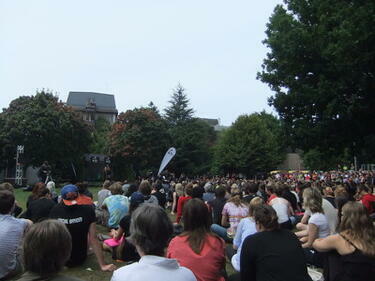 Here they are in the quad at Canterbury University with the lunchtime queues". 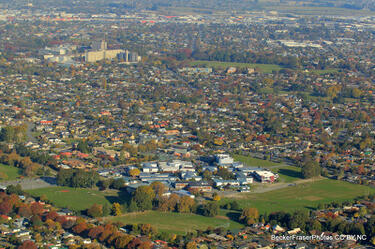 Photograph captioned by BeckerFraserPhotos, "University of Canterbury". 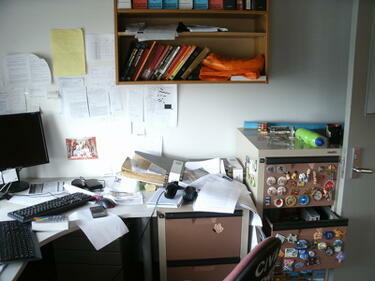 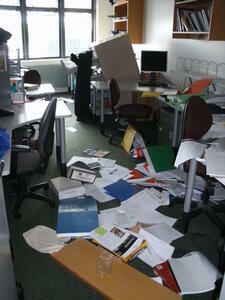 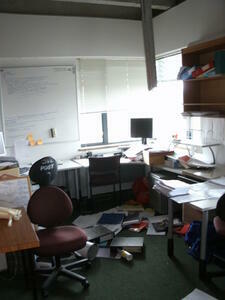 A photograph of an office in the Department of Civil and Natural Resources Engineering at the University of Canterbury after the 4 September 2010 earthquake. 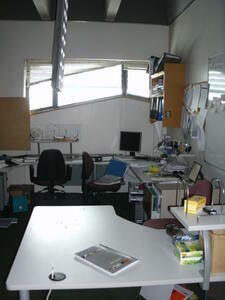 A photograph of the Civil Suite at the University of Canterbury after the 4 September 2010 earthquake. 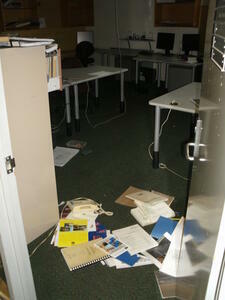 The photograph was taken on the day when the staff were allowed to return to the building. 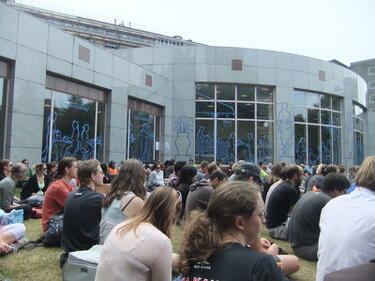 A photograph of students at the University of Canterbury attending an earthquake memorial service on the C Block Lawn on the anniversary of the 22 February 2011 earthquake. 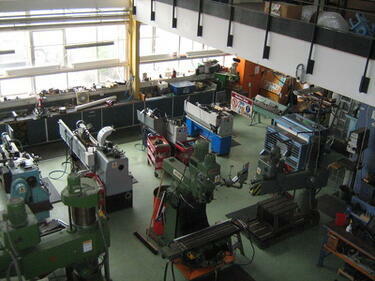 A photograph of a workshop in the Department of Civil and Natural Resources Engineering at the University of Canterbury after the 4 September 2010 earthquake. 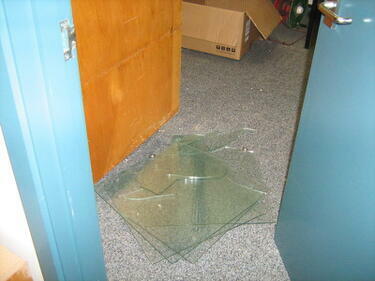 A photograph of a pile of broken glass in the entrance way to an office in the Department of Civil and Natural Resources Engineering at the University of Canterbury, after the 4 September 2010 earthquake. 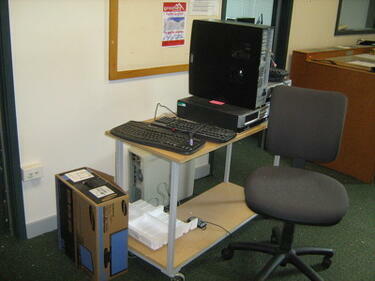 A photograph of a trolley stacked with computers and keyboards in the Civil Suite at the University of Canterbury after the 4 September 2010 earthquake. 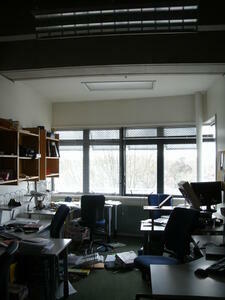 The photograph was taken on the day when the staff were allowed to return to the building.